The new year is the perfect time to get your green fingers busy beautifying your summer garden. 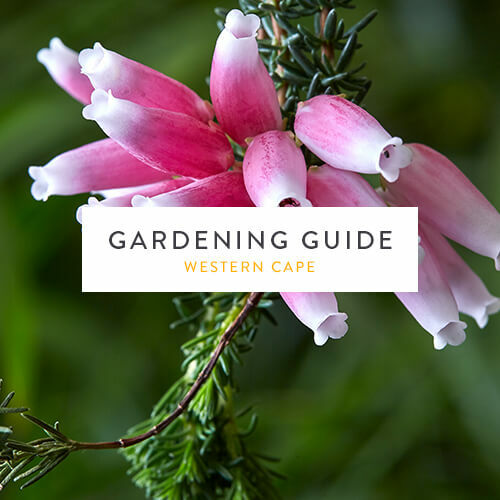 Our gardening guide lets you in on what to plant in January and includes summer gardening tips for sowing your own herb and vegetable seeds, planting heat-tolerant annuals and feeding your lemon trees for a good harvest come winter. Ericas love free-draining soil, so it’s best to grow them in soil mixed with a layer of gravel. They grow well under sunny skies. They prefer slightly acidic soil, so a helpful tip is to mulch the soil around them with pine needles, wood chips or used coffee grounds. Pruning ericas right after flowering will encourage a bushier growth. Sow herbs like basil, dill, nasturtiums, parsley and watercress in well-draining soil in containers. Pro tip: Keep the soil moist (with some grey water, of course) until the first shoots appear. Pinch out new growth on seedlings to encourage them to become compact and bushy. The more you trim your herbs, the more flavourful they become. Place them in a spot that receives at least 5-6 hours of sun. Sow summer vegetables such as artichokes, beans, beetroot, broccoli, carrots, cauliflower, leeks, lettuce, potatoes, pumpkin, spinach, squash and turnips. Feed lemon trees with 3:1:5 or 8:1:5 (an organic fertiliser) and water them well. Surround the trees with a thick layer of organic mulch. Fertilise fuschias with an organic potassium fertiliser such as a 3:1:5. Lightly prune roses to encourage new flowers. Snap off any suckers (light green, thornless shoots) growing from the base of the bushes. Remember to pull up any weeds before they go to seed and cause more problems in the garden. Weeds rob your plants of valuable water and nutrients, so right now couldn’t be a better time to get rid of them. Cabbage is a vegetable-patch staple that can be grown at different times of the year, depending on the variety. It’s low maintenance, with a harvesting time of 11–15 weeks, and is a go-to addition for plenty of summer meals: salads, slaws, stir fries – you name it. Chives are perfect herbs to add to your summer garden – not only is the subtle onion flavour great for any dish, but they have beautiful flowers, too! The bonus is that they are hardy, drought-tolerant, and one of the easiest herbs to grow.